As a part of the aging process or due to unhealthy lifestyle choices, your blood vessels can start to narrow or fill up with fatty deposits of plaque. These factors can limit your blood flow throughout your body, especially in your legs and feet. If you find it difficult to walk or be physically active due to persistent leg pain and cramping, you may have a vascular disease known as peripheral arterial disease. 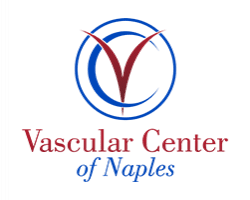 To end cramping and pain in your legs, schedule a consultation with Dr. Russell Becker at Vascular Center of Naples in Naples, Florida. You can book online or by calling the office directly. Vascular disease is any abnormal condition affecting your arteries. This type of disease affects your body’s ability to circulate blood and can lead to disabilities, or even death. Anyone can be at risk of developing a vascular disease, but if you have Type 2 diabetes, are obese, or if you are a current or former smoker, you may be at a heightened risk. Peripheral arterial disease is a condition affecting your circulatory system. It occurs when your arteries narrow and reduce the flow of blood to your limbs. It usually affects your legs. What are the symptoms of peripheral arterial disease? You can have this condition and experience no symptoms at all. But the most common symptom of peripheral arterial disease is leg pain when walking. In some cases, the pain can be debilitating, making it hard to walk or do your usual physical activities. Leg pain often worsens when you’re lying down or with activity, and it can cause problems with your sleep. Peripheral arterial disease can also result in erectile dysfunction in men. What treatments are available for vascular disease? The most effective treatment for peripheral arterial disease and other vascular diseases is an endovascular treatment. Dr. Becker inserts a catheter, a long, thin tube, through a small incision in your groin. 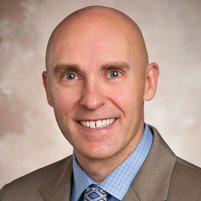 Dr. Becker guides the catheter through your blood vessel to the blocked area. He places a stent into the artery to keep it open and encourage blood flow. Dr. Becker may also use a balloon angioplasty to push plaque against the vessel wall and keep blood flowing. This type of minimally invasive surgery ensures you have a faster recovery time, and it’s a good alternative for anyone who isn’t able to have open surgery. If you’re not a candidate for endovascular treatment, Dr. Becker may recommend a bypass, a procedure where he reroutes blood flow to healthier vessels. This procedure requires general anesthesia but offers long-term benefits for improved circulation. To learn more about treating vascular disease, schedule an appointment online or by phone.